5 Amazing Notebook Deals Under $300; Maybe $99? What a difference a few years make. 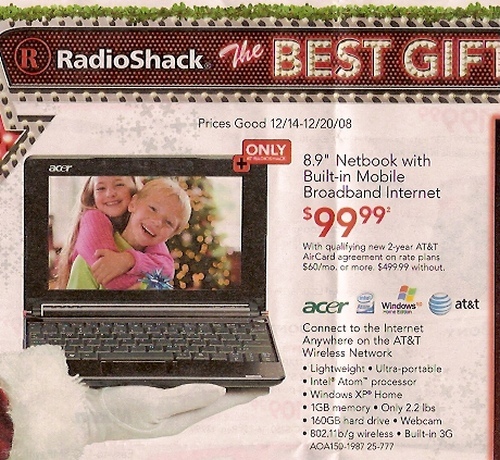 In 2006 we were impressed to see laptops under $900. Last year, we were impressed to see them under $600. This year the price drops even farther: devices under $300 and if rumors prove true, one may even be under $100. The new classes of laptops, nicknamed ‘Netbooks’ for their ultra-portable design, have been popping up on store shelves since the beginning of the year. Primarily used for internet services like web browsing, e-mail, and instant messaging, they’re also suitable for running office and educational software. They’re smaller and lighter than their larger cousins though not quite as feature rich. Most have smaller storage capacity and slower processors and may not run all the latest software. On the plus side, many contain new solid state technology which reduces weight, improves battery life, and reliability since there are fewer moving parts. 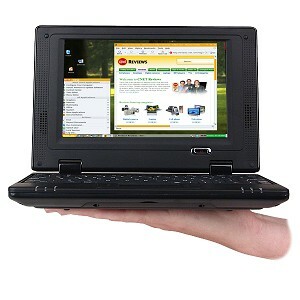 The Alpha 400 for an inexpensive $169 provides multimedia entertainment, broadband internet access and work on the go. It features the Linux Operating System, 400 MHz 32-bit CPU, 128 MB RAM, 1 GB NAND Flash storage, a 10/100 MB Ethernet interface and 802.11b wireless access. At $279, this incredibly compact and lightweight netbook features a solid-state drive for quiet, energy-saving and shock-resistant storage of your data on the go. 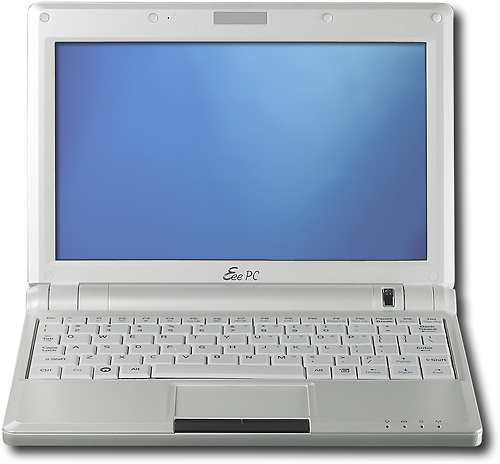 Features include an Intel® Atom™ Processor N270, 1.6GHz processor speed, 4GB solid state drive, 1GB of Ram, 8.9" WSVGA widescreen display with 1024 x 600 resolution and offers, built-in wireless connectivity, Linux, and weighs 2.2 lbs. At $299, the small but mighty, the HP 2133 Mini-Note PC offers you a full-function laptop that weighs around 2.8 pounds. It features an 8.9-inch scratch-resistant display with a WXGA resolution and a nearly full-size keyboard (92 percent). It's powered by the VIA C7-M ULV processor, which provides a 1.0 GHz clock speed, uses a solid state 4 GB hard drive, 512 MB of installed RAM (2 GB maximum), 54g Wi-Fi connectivity (802.11b/g), lightning quick Gigabit Ethernet, VGA webcam built into the screen's bezel for video chats, and up to 2.25 hours of battery life. This model comes pre-installed with the SUSE Linux Enterprise Desktop 10 operating system. The $299 Wind features a speedy and energy-efficient Intel Atom 1.6GHz, an 120G / 2.5 SATA hard drive , 10” wide screen (1024X600 resolution), 802.11b/g and Bluetooth, gets around 2.5 hours on battery, measures 7.08 inches wide by 10.23 inches long, and weighing just 2.3 pounds. With the built-in 1.3M webcam and MIC, users can take group photos, film parties, and see friends when chatting online.